Well, I managed to dig up some oldie moldie photographs from about 20 years ago! 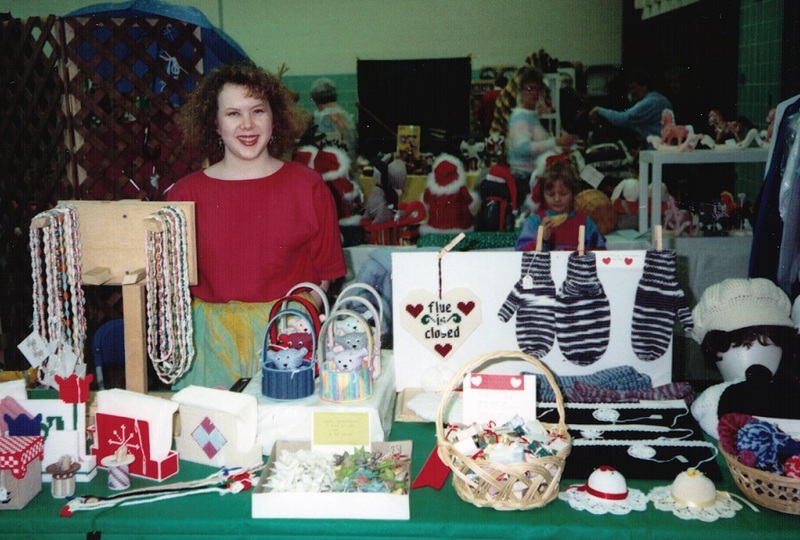 I mention in my About page how I grew up going to craft fairs with my mom and grandma. We made all sorts of things back then. My mom made afghans, berets, baby sweaters and booties, among a whole ton of other things. My grandma did a lot of plastic canvas. I also mentioned how I was making paper beads before they were cool. 😉 Well, lo and behold, I actually have a couple pictures of those beads. 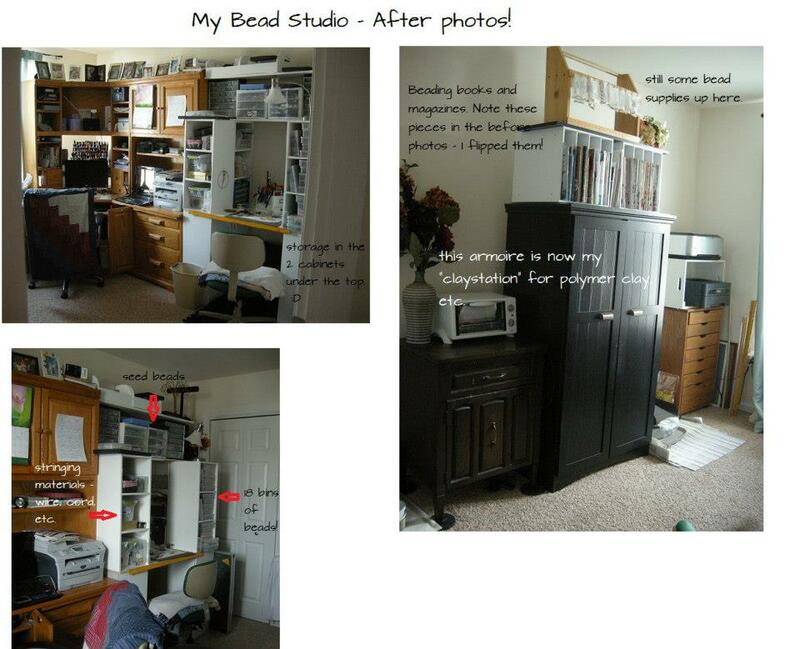 Here they are on the top shelf in this photo. They were made from wallpaper. I would go beg the wallpaper suppply stores for their old sample books that were headed for the trash. They were kind enough to let me have them. I remember I had a lot. It made for a very wide selection of colors. 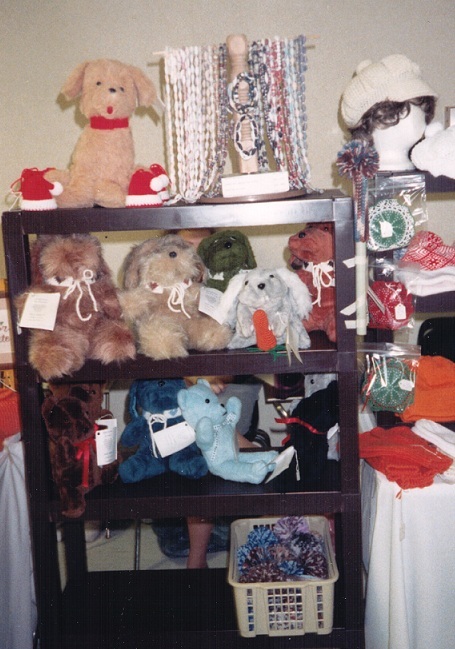 What’s amazing to me about this picture is how I totally forgot that I used to make those stuffed animals! That was kind of a pain trying to sew through that fur. (Plus I’m sure I broke a few sewing needles.) And I have to laugh when I see the basket on the bottom shelf. My mom used to make cobweb dusters that you put on the end of a broomstick. It was a knit or crochet (not sure) “sleeve” with a pompon on the end. We got a lot of “what are these?” questions when people would pick them up to examine them. Let your mind wander to the gutter for a moment and you’ll realize it could double as a sock for a you-know-what. After the stuffed animals and paper beads, I moved on to cross stitch and that was my focus for quite a while. Here are a just a couple of the pieces I had done. The top one was a wedding sampler that I would personalize after purchase. 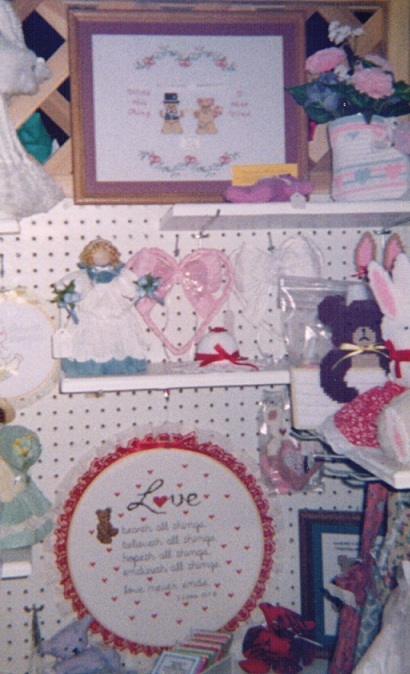 This photo was taken at a booth we had at a craft mall in Greenfield, WI. Eventually I learned how to cut my own mat boards so I could finish my pieces on my own vs. having to go to a gallery or craft store and have them do it. I apologize for the blurriness…the original photo wasn’t so good! Hey! I have that red ribbon bonnet pin cushion on my beading table right this very moment – so some of these things have stood the test of time! Oh the good ol’ days! 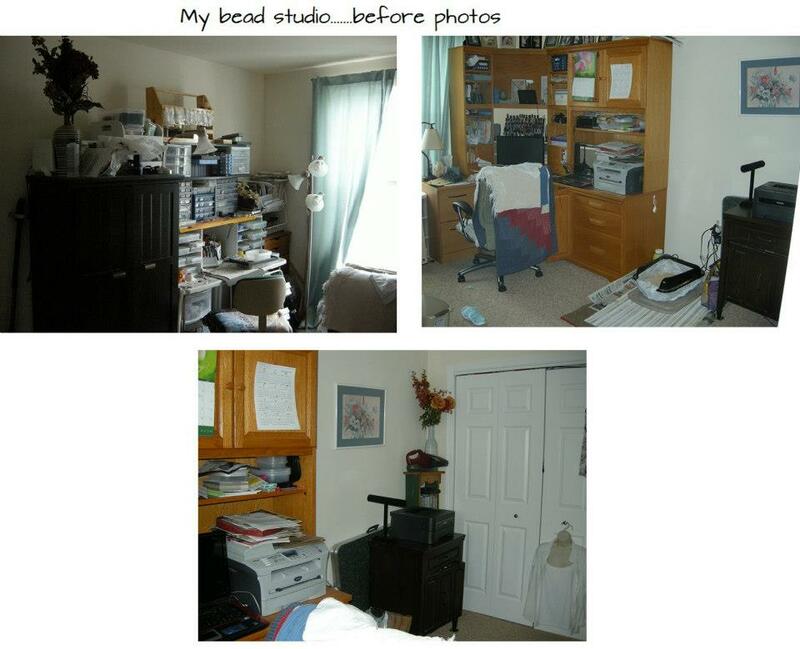 I have no idea what happened to all of those beads, either. What didn’t sell probably ended up in the trash. One of these days I’ll try the same concept with copper sheet….not having to get my fingers all sticky and gross with glue is a plus.